Are you planning to a buy a new quality car at a reasonable price? If so, look no further than Budds’ BMW Oakville. We offer an expansive inventory of quality new cars at great prices. If your current vehicle is giving you trouble and you have to make regular visits to the mechanic, it is a clear sign you need to purchase a new vehicle. Of course, buying a new car is a major investment, but with the range of financing options available today, you can purchase a high-quality car at a reasonable price. Look at Budds’ BMW Oakville’s huge inventory of quality new cars at inexpensive prices. Why Buy New Cars from Budds’ BMW Oakville? When you purchase a quality new car from Budds’ BMW Oakville, you can rest assured it delivers longevity and durability. We offer a range of specials, discounts, and warranties, along with coverage and road assistance programs, which will take the worry out of your car purchase. In fact, if your vehicle causes any trouble after your purchase, you can bring it in and we will check it. 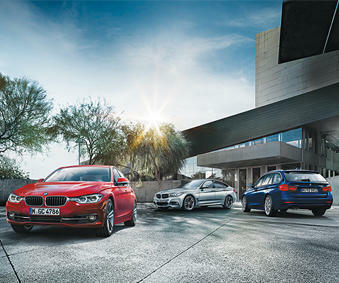 Budds’ BMW Oakville offers financing options at competitive rates to enable you to purchase your favorite vehicle. We offer cash rebates, 0% down payment, and low interest financing. Budds’ BMW Oakville offers customers a huge inventory of quality new cars at amazing prices. Therefore, when it comes to purchasing a new car, your search is not limited to vehicles at a particular dealership. You can browse from a huge range of vehicles, like coupes, sedans, minivans, SUVs, crossovers, and trucks and filter your search via model, body style, year, cost, and color. Many people have the misconception that the moment they drive a vehicle off the lot, it loses most of its value. This is not true and depreciation does not mean you will not get good cash for the car later. You can filter your car search on our website and browse through vehicles with strong resale values. This ensures the car you purchase will stay in demand, which means you can trade it in down the line, or perhaps sell it off and buy a new car. Therefore, if you want to enjoy the abovementioned benefits and buy a car with quality technical engineering, attractive design, and dynamic performance, shop at Budds’ BMW Oakville!